TRIBUTES HAVE BEEN paid to Fearghal Beamish (27), who died in a workplace accident in Clonakilty, west Cork, yesterday. The tragic incident occurred just after 10am yesterday at the Clona Dairy. Beamish suffered fatal injuries and was pronounced dead at the scene. He was a member of the St James junior football panel at St James’ GAA. The club paid tribute to him, saying he will be greatly missed. As a mark of respect, all club activity has been cancelled for the remainder of this week. All at St. James’ GAA club and surrounding community are shocked by the tragic news this Tuesday morning of the death of our clubmate and great friend, Fearghal Beamish. 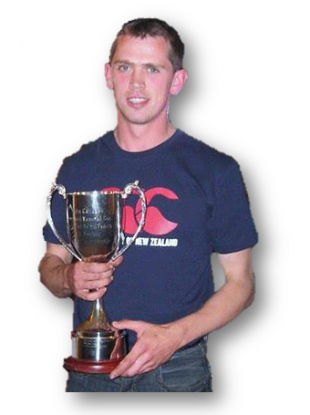 Fearghal died at his place of work at Clona Dairy following an accident. We extend our deepest sympathy to his father John, brother Gearoid, sisters Eimear and Nollaig, and all his relatives and friends. The Health and Safety Authority and gardaí will investigate the incident. Fearghal Beamish will be removed to St Michael’s Church in Rathbarry from O’Sullivan’s Funeral Home at 7.30pm tomorrow. His requiem mass will take place on Friday at 2pm. Email “Tributes paid to young man killed in workplace accident at Cork dairy”. Feedback on “Tributes paid to young man killed in workplace accident at Cork dairy”.